Wear and runout gauge set comes in a convenient molded case. Checks tire and wheel runout, gear backlash, valve guide wear, etc. 12" flex arm can be set to almost any measuring position desired. Indicator features 0-1" travel, and .001" graduations. 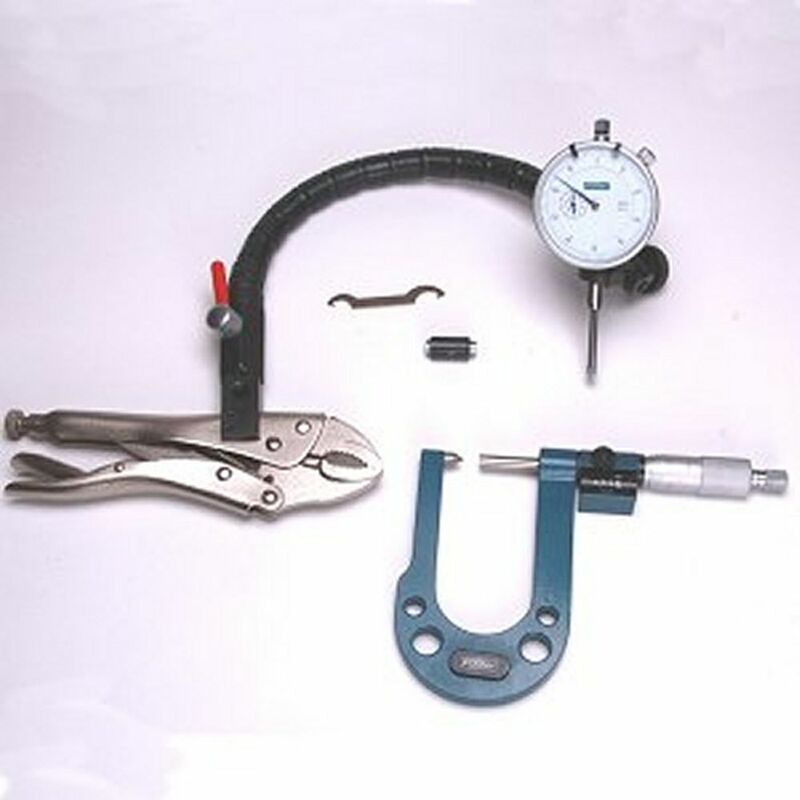 Digit Disc Brake Micrometer Measures thickness, thickness variation and score depth. 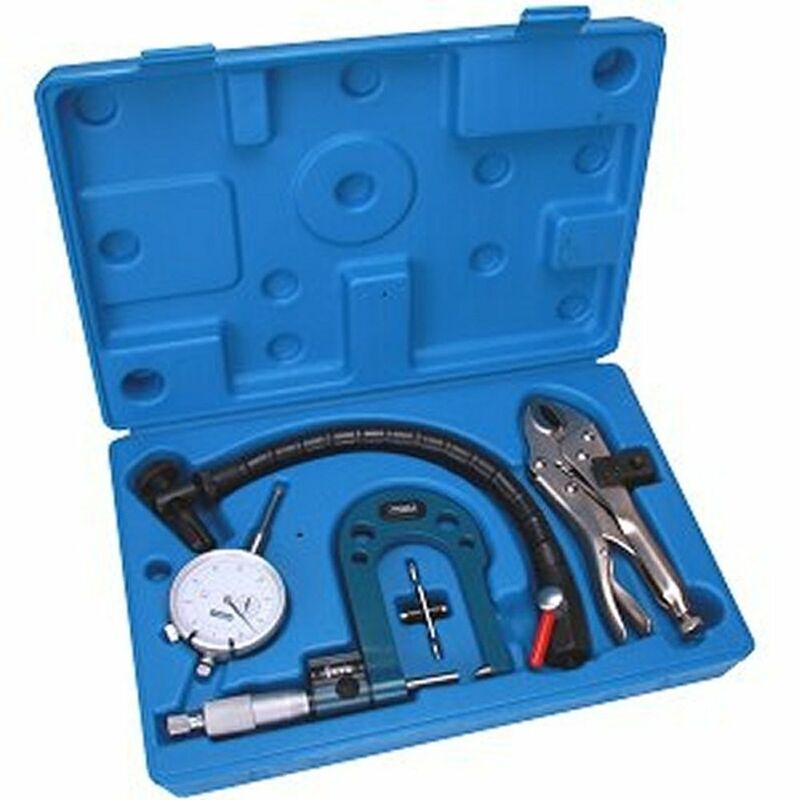 The Disc Rotor/Ball Joint Gage checks ball joint wear, disc rotor runout, tire and wheel runout, gear backlash, valve guide wear, etc. Measuring range is .300-1.300 .001 graduations, jaw depth 3.5"